Canal Plus spent vast amounts of money on the production, but more noteworthy has been the fact that Versailles is in English. The aim is clearly to sell the production to a global audience, but filming in the language of Shakespeare, not Molière, may be more appropriate than it first appears. If Louis XIV and the palace of Versailles are quintessentially French cultural icons, Versailles has some claim to be the first global international political centre. The story of its rise and fall is one that today’s generation of world leaders ought to study carefully. Louis XIV began to redevelop his father’s small hunting lodge in the early 1660s while still in his twenties. He only gradually realised he had the opportunity to create an architectural and horticultural wonder of the world. 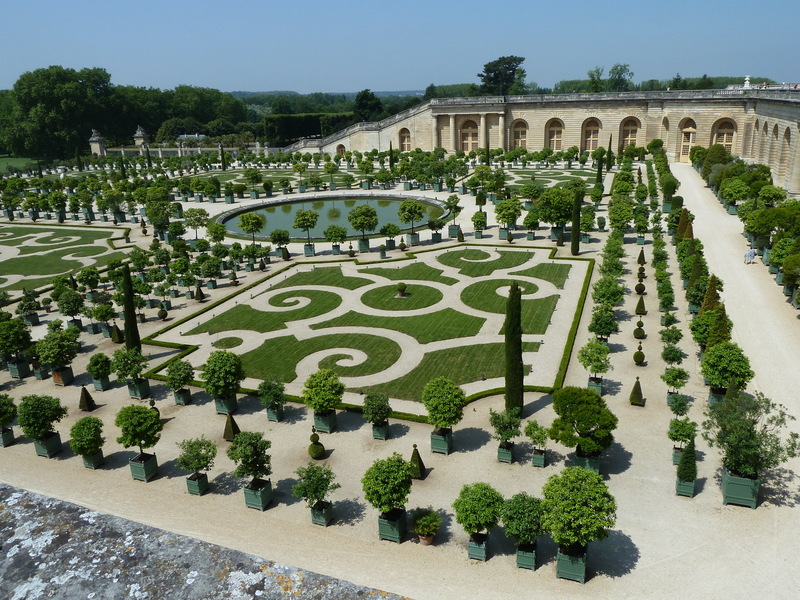 It was not until 1677 that he decided that the French court and government, both of which had been expanding in size and importance, should make Versailles their principal base rather than Paris and other palaces. It became the main royal seat of government in 1682. Within a few short years, Versailles had supplanted Rome as the most important location in Christendom for politicking and influence trading. Humble army officers visited to petition for promotion. Provincial governors residing at court badgered ministers for favourable decisions on a range of policy and patronage matters on behalf of their regions. Government ministries occupied wings of the palace, and civil servants ran a daily gauntlet of lobbyists, some of them illicitly paid. Officials holding the highest ranks in the king’s apartments would press Louis XIV to consider the interests of those they favoured. Patrons, influence brokers and political clients abounded. Connections were everything. By 1700 France had a greater diplomatic presence abroad than any other state in the world. In return, more foreign envoys were accredited to the French court than to any other country. From Versailles, Louis XIV dispatched an envoy to the King of Siam in 1685, and received three embassies from Siam that decade in return. In the final year of his reign, 1715, another envoy came to Versailles from Iran. Two years after that, Peter the Great of Russia, touring western Europe, even stayed several nights in one of the smaller palaces in the grounds of Versailles. As with Brussels and Washington DC in our own age, Versailles was therefore a global magnet and a great centre of political lobbying. Who you knew, and who you were, mattered a great deal for getting a hearing and securing your goals. Gaining admission to court was not hard if you were dressed respectably. Getting a foot in the door of a minister’s office or securing a conversation with a member of the royal family was much more difficult. This was a highly complex political system run to a considerable extent by insiders for insiders and their associates. The key to the Versailles system functioning was to ensure that a large cross section of the elites shared in what the state could offer. Under Louis XIV this was delivered tolerably well. But from the late 1760s under his successor, Louis XV, it began to break down. The favouritism of the ageing king towards a mistress led to a political crisis in which many of the courtiers deserted Versailles and retreated into overt opposition. After Louis XVI and Marie-Antoinette came to the throne in 1774, they too proceeded to alienate the high aristocracy to the point that on the eve of the revolution all four commanders of the king’s life guards had gone into political opposition. How had this happened? Public life in France outside Versailles had become more vibrant over the 18th century, and France as a whole lost her international preeminence, causing widespread national dismay. What mattered more, however, was the failure of Louis XVI to realise that the French elites were no longer willing to back him when the financial crisis that caused the revolution hit the monarchy in 1786. The court had lost much of its magnificence under the prim and retiring king, and if it remained the hub of government Versailles was nevertheless failing as a centre of politics: it came to be associated with excessive favouritism, corruption and arbitrary rule. When the wider political nation comes to resent a centre of power that no longer delivers success and is considered closed and corrupt, trouble lies ahead. The recent surge of support for populist nationalism in the shape of Donald Trump and European fringe parties led by the likes of Marine Le Pen in France is but the latest manifestation of this. It is not yet clear that the power brokers in Washington and Brussels, beset with financial woes like Louis XVI, have fully grasped the danger their political systems might be in. They might look to Versailles for a warning.